Harloff's Standard Line Single Column 540 Punch Card Medication Cart offers ease of use and top of the line security to enhance any hospital or examination room. 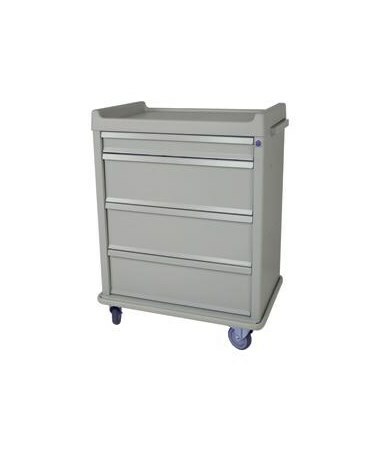 This painted steel cabinet features 4 aluminum drawers, with a locking narcotics and liquid storage box within a 9.75" punch card drawer for easy access. A BEST brand lock protects the cabinet main, and an Illinois lock keeps the narcotics box secure. A 12 year warranty protects the entire cart. All of this means the security and stability of the product will never be a concern. The drawers are powered by ball-bearing, full extension slides, with 1 4" multipurpose drawer and 3 9.75" punch card drawers (540 card capacity) with dividers offering effective storage and accessibility. 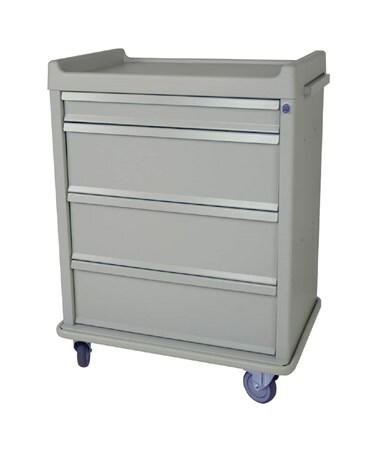 With such a dramatic range in functionality, this cart is perfect for a variety of situations and work environments. Other great features of this cart include a painted steel pull-out shelf, the plastic replaceable top with integrated push handles, a full wrap around vinyl bumper and 5" ball-bearing premium rubber casters (2 with toe locking brake, 1 directional). 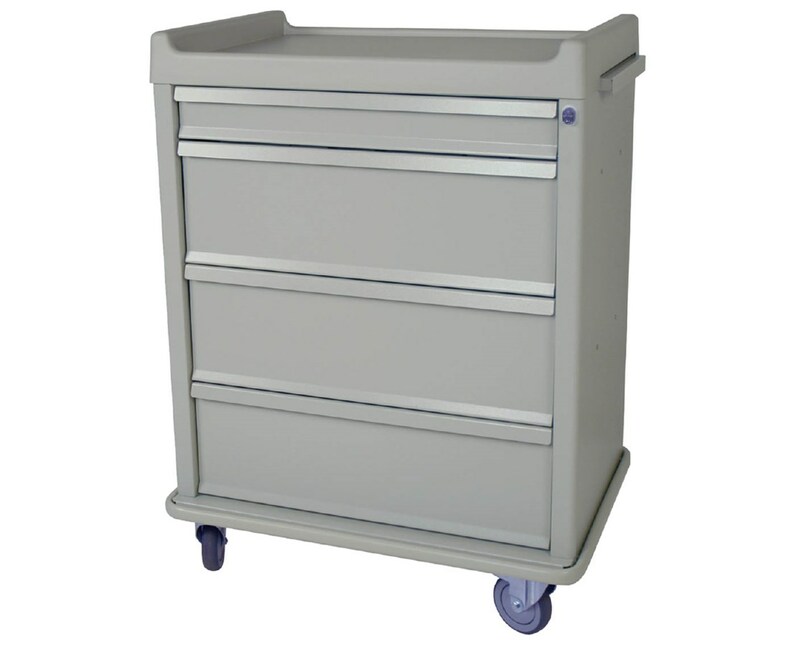 We offer the Standard Line Single Column 540 Punch Card Medication Cart in 13 colors (View Chart). Select from the drop down menu above and order online direct by clicking "add to cart!" Number and Size of Drawers (1) 4", (3) 9.75"